Central Financial Group offers several different coverage options for your consideration including term life, whole life, universal life and much, much more. Reassurance & Protection for you and your Loved Ones. For your Employees; the Backbone of Your Business. At Central Financial Group, we offer a variety of flexible Group Life Insurance solutions that benefit both you and your employees. As an employer, you can enjoy financial advantages such as income-tax deductible premiums and Life Insurance protection at a low group rate. Group Life insurance also can contribute positively to the productivity of your business by reducing employee turnover and strengthening employee morale and loyalty. As your personal situations change (i.e., marriage, birth of a child or job promotion), so will your life insurance needs. 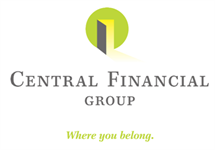 An insurance specialist with Central Financial Group will review your current life insurance situation and help you design a policy to plan for the future. To learn more about Individual and Group Life Insurance options available to you, your family or your business, get in touch with a specialist at Central Financial Group. Care should be taken to ensure this product is suitable for your long-term life insurance needs. You should weigh any associated costs before making a purchase. Life insurance has fees and charges associated with it that include costs of insurance that vary with such characteristics of the insured as gender, health and age, and has additional charges for riders that customize a policy to fit your individual needs.